Belgium will face Algeria on Tuesday, June 17, in a World Cup 2014 Group H match. Kick-off time is 12:00 p.m. EDT at Estádio Mineirão, Belo Horizonte. Here is an AP preview of the match. 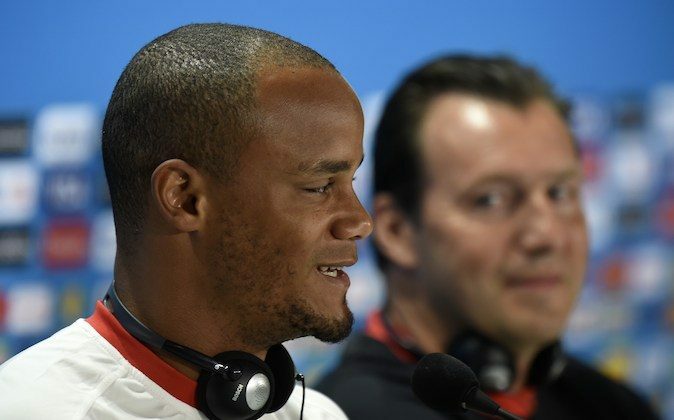 BELO HORIZONTE, Brazil (AP) — Belgium returns to its first World Cup in 12 years brimming with confidence and determination before the Group H opener against Algeria. Belgium’s best cluster of players in a generation is in fierce competition for a starting place Tuesday at Estadio Mineirao. It’s so fierce that a couple of players have picked up knocks in aggressive training sessions. Coach Marc Wilmots hopes the competitiveness will produce a strong fighting spirit against the Algerians, who have been playing with more flair in recent years. In some respects, Wilmots doesn’t know what tactics to expect from the African team. Belgium is widely considered the favorite in Group H, which also includes Russia and South Korea, even without the presence of preferred lone striker Christian Benteke, who missed out on Brazil because of injury. Belgium boasts a crop of talent playing for top clubs teams in Spain and England, including goalkeeper Thibaut Courtois, midfielder Eden Hazard and captain Vincent Kompany. But Algeria comes to this tournament hoping to surpass the achievement of the 1982 World Cup team, which beat European champion West Germany in a group game. Even though it didn’t get past the group stage, it’s still considered to be the north African country’s best team. Algeria coach Vahid Halilhodzic acknowledges that Belgium is considered the favorite to win, particularly as two-thirds of his squad is playing in a World Cup for the first time. One of those assets is star player Sofiane Feghouli, who was born in France to Algerian parents. His fine first touch and deft passing ability in central midfield makes him Algeria’s biggest threat. The country is lucky to have the 24-year-old Feghouli after France tried to lure him to its national team. Algeria’s other attacking options include Sporting Lisbon striker Islam Slimani. The 1982 World Cup still hangs heavily over Algerians. After the country upset West Germany, Algeria was eventually eliminated after a seemingly contrived result between Austria and Germany in their last group match put both of the European teams through to the next round. It’s the bitterness still felt by Algerians over that tournament that drives the current group of players. Epoch Times: Belgium have too much fire power. 3-0 to de Rode Duivels.